The Thar Desert in north west India spreads across the states of Rajasthan and Punjab forms the natural border between India and Pakistan. It is the most populated desert region of the world. It has 83 people per square Km which can be compared with the Sahara Desert at 1 person per square Km. Is is sometimes also known as the Great Indian Desert. The desert region covers in excess of 77000 square miles. Annual rain fall in this region is about 4 inches in the west and 20 inches in the east but this can vary massively depending on the yearly monsoons movements. The vast majority of rain falls in the months July to September each year. The hottest months tend to be May and June where temperature can hit 50 on a regular basis. High winds and dust storms are also very common in these months. January is the coldest month of the year in this region and it is not unusual to see frost on the ground. The best time to trek in this region is between Oct and early December. The desert is about 4000-10000 years old depending on which research you read. To cross the whole desert is a journey of about 500 mile. This makes it the 18th largest sub tropical desert region in the World. 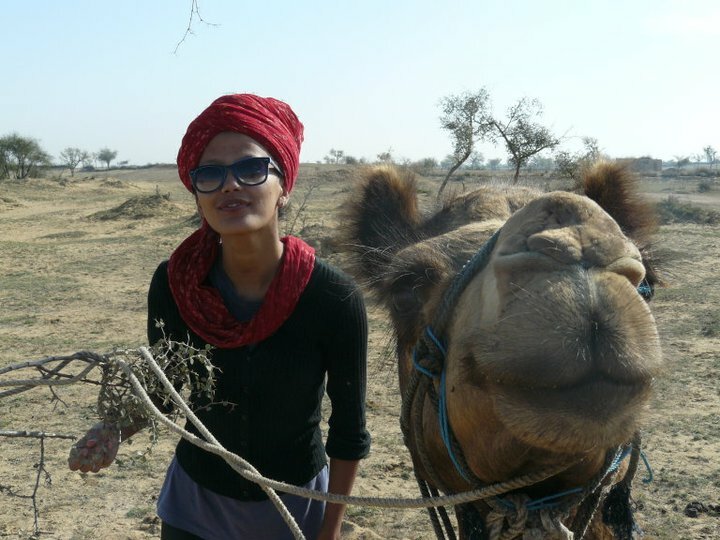 The trek is a exploratory visit to the Thar region to discover the potential of the desert for one of two future projects and to enhance our lists of deserts where we can offer much longer and challenging journeys. The other objective is to take lots of photography and video of this unique region and its people. 2. A unique journey from the Desert in the Sky in Ladakh that we have traveled across many times to the Thar desert annual camel market. This journey on foot is in excess of 1000 miles and would be a unique cultural and challenging expedition. 10 days of trekking full supported with the team just carrying days sacks. The route will take in many local villages along the way and will be a cultural experience as much as a trek. Maximum distance per day will be approximately 20 km. This includes 1 years 2016 membership of the Splash Rafting Ambassadors Program where you get 1 full year of being able to do as many adventure activities as you want at our Scotland based adventure activity company. Some of our Ambassadors use us on a monthly basis which saves them my hundreds and in some case thousands of pounds. We require just five guests to make it happen with a maximum of 12. Closing date to confirm is 31 March 2016.